I had the great pleasure of reading Grave is the Day by Micheal Drakich. It’s all Mr. Drakich’s fault. I normally read for about a half hour or so before I go to sleep. So the other night I settled down at 9:30 pm, opened my Kindle and stared at the current book I’m on. I realized that I’m on chapter 3 of that book and didn’t really care what happened next. So I decided to heck with that, I was going to find something else. I went back to my home screen on my Kindle and started flipping through the books and there was Grave is the Day. I hadn’t read it yet so I opened to the first page and started to read. I was instantly drawn into the story. After a while I started to think, “I should get to sleep”. I clicked the little indiglo on my watch and it was already 11:15. Which was obviously a silly time, 11:30 made much more sense for falling asleep and 15 minutes either way wasn’t going to make much difference at that point anyway. It only took me a couple of seconds to convince myself of this and then I happily dived back into the book. After a while I thought, “Okay I really should go to sleep” I looked at my watch and do you know what time it was? Two freaking o’clock in the morning!! Obviously, I needed put the book down immediately and go to sleep. Except, Justin just arrived at he base and Rex was howling in the distance and I HAD to see what happened. So I finished the chapter and then reluctantly put the book down. Now, it takes a pretty interesting book to hold me to reading that long when I know I should be asleep. So, it’s all Mr. Drakich’s fault that I was tired the next day. And it’s all his fault that my dishes didn’t get done the next morning. You see, I would have done them, but I really needed to finish this book, so the dishes had to wait. And since I cannot be held accountable for my inactions while a wonderful book is in my hands, it is clearly all his fault since he is the author of said wonderful book. The writing was great and pulled me in (there were a few editing hiccups here and there, but nothing to throw me out of the story…obviously) the characters were well rounded and each with their own distinct personality. The way he wove historical events in and gave them other reasons for happening was absolutely masterful. The science fiction elements were plausible and made perfect sense in the book. I loved the little details like when the Flintstones and Star Trek first started. This book covers a large amount of time as the reader travels from the Sputnik first launching, through the Cuban Missile Crisis, past the fall of the Soviet Union to present day and beyond. Mr. Drakich weaves this story through history with a deft and entertaining hand. They say that every story has something lacking, but I tell you, I’m really struggling to come up with what it might be in this book. After much reaching and searching, I finally decided on a couple of things. I was surprised Justin wasn’t more excited when he first met Rex, since he had been hoping for that since he was a child. The only major historical event that I’m surprised wasn’t covered was the loss of the space shuttle Challenger. I remember sitting in school and watching that happen in real time. It was sadly, a rather large event at that time and though I kept waiting for it to happen in the book, it never did. Lastly, I wish Rex would have played a part in the ending. Mr. Drakich did a great job of endearing the reader to him and I missed seeing him at the last. This book gets a full five stars from me. This is a book I will happily return to again and again. I feel like Kraanox, Justin, and Wayne are old friends that I will look forward to visiting many times. 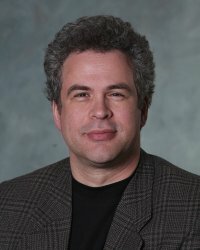 Michael Drakich is a new author of speculative fiction. Born and raised in Windsor, Ontario, Canada. 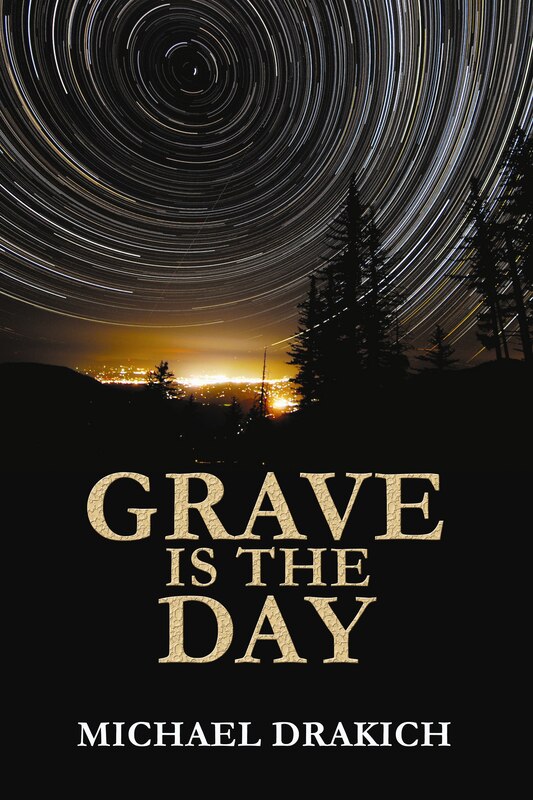 He burst onto the publishing scene with his first novel, Grave Is The Day, a science fiction adventure story – In October of 1957, more than Sputnik fell to Earth… Set against the back drop of the Space Race and the Cold War, both the United States and the Soviet Union have a new issue to deal with, aliens from outer space. Both the Braannoo and the Muurgu are at war with each other and Earth becomes the newest battleground in their struggle. Spanning time from the launch of Sputnik to the near future, the interplay of historical events from a new light make you ask the question, could this all be true? The capture of aliens near small town USA unites three players from different quarters, Commander Kraanox of the Braannoo, First Lieutenant Wayne Bucknell as his captor and seven year old Justin Spencer, the first to make alien contact. His more recent release, The Brotherhood Of Piaxia, is one of those classic epic fantasies -Years have passed since the overthrow of the monarchy by the Brotherhood of Warlocks and they rule Piaxia in peaceful accord. But now forces are at work to disrupt this rule from outside the Brotherhood as well as within! In the border town of Rok, a young warlock acolyte, Tarlok and his older brother, Savan, captain of the guard, become embroiled in the machinations of dominance. While in the capital city, Tessia, the daughter of Piaxia’s most influential merchant, begins a journey of survival. Follow the three as their paths intertwine, with members of the Brotherhood in pursuit and the powerful merchant’s guild manipulating the populace for their own ends. Michael is constantly writing. In 2013 he is hoping to release three new novels. Michael is expecting to release his latest novel, Lest The Dew Rust Them, a thriller, this winter – Terrorism in New York City has a new game…decapitations! Homeland Security Director Robert Grimmson faces the task of catching five men in New York City. They call themselves the Sword Masters with a single minded plan of terror through decapitations. Barely has the task begun when a new arrival at JFK is a man importing thousands of swords! Alexander Suten-Mdjai is a trainer in the deadly art of swordsmanship and Robert cannot help but believe there is a connection between him and the Sword Masters. As he goes about the task, each step in his search is made more difficult through the interference of politicians, the media and his own government. Robert’s examination constantly draws him back to Alexander who regales him with a tale of swordsmanship from his lineage featuring events of mankind’s bloody past and often oddly having a connection to the case before him. With the clock ticking as New York collapses into a deep panic, he must catch the Sword Masters before it is too late! In late spring, he intends to release another science fiction, The Infinite Within – Going into outer space calls to Astronaut Brooke Jones like the sirens of old, and when the chance to be part of the first manned mission to Mars arises, she is ecstatic. But little does she know the fate that awaits her on the surface of the red planet or the results of her encounter when she gets back to Earth. And by the end of the year, another epic fantasy, Demon Stones – A hundred years have passed since a powerful warlock had trapped all the demons within stones spread across the land. The memory of them had been reduced to tales to frighten children. But now, they are gaining their freedom and once again spreading fear as they roam the world.